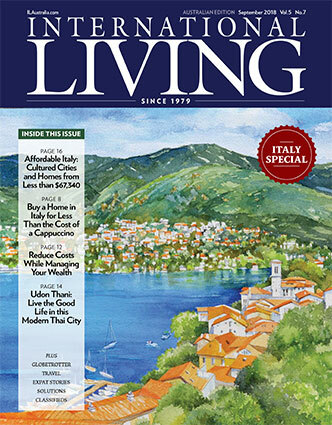 International Living Australia will broaden your horizons in every issue. International Living Australia will bring you a world of new opportunities. You’ll read about ways to dramatically change the way you live—for the better. Romantic places to live. Luxurious places to travel. Inexpensive places to retire. Rewarding investments. Safe havens for rest and relaxation…places to let your imagination and your creativity soar. No, you don’t have to be rich and famous to enjoy an international lifestyle. International Living Australia will help you understand that all you need is the special imagination to appreciate all the opportunities the world has to offer. We will help you discover where you can have your dream life for a lot less than you ever imagined. Each month, we delve into the details you need to take action. We share our contacts. We lay out the pluses and minuses. And we keep you up-to-date on the latest developments with the best havens overseas. International Living has helped people retire better, for less, since 1979. We've published a detailed rankings of the best places in the world for Aussies to retire. It covers everything you need to know: Retiree benefits, cost of living, the best places to rent, and more. 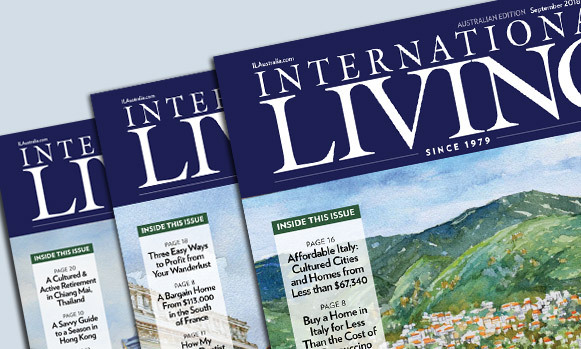 It's yours free when you sign up to International Living Daily Postcards today. In the January issue of International Living Australia magazine we give you the lowdown on Malaysia, the winner of our annual Global Retirement Rankings as the top spot for a dream overseas retirement. Whether you want city living, laidback island vibes or to uncover a hidden gem, Malaysia’s got the lot.